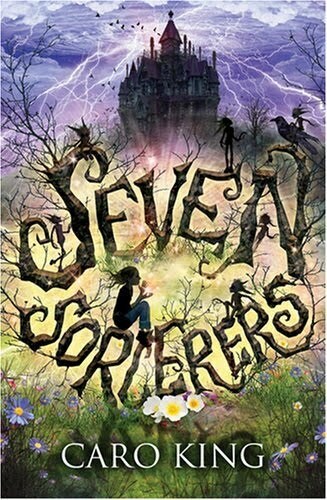 Seven Sorcerers by Caro King – This is very much a middle-grade book, but WOW is it great! Wonderful mixture of realism and crazy fantasy – with some excellent illustrations to boot! Graceling by Kristin Cashore – AMAZING! Seriously. Even if high fantasy isn’t your thing – please read this book! 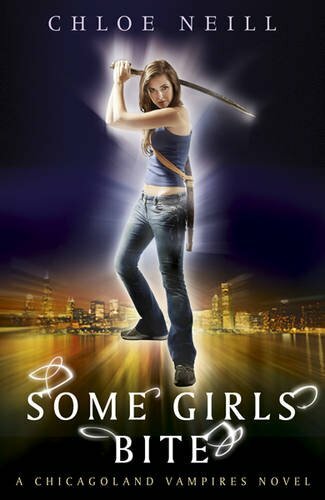 Some Girls Bite by Chloe Neill – Loved it! Will no doubt end up writing a long-winded explanation about why I love the male lead, despite him being a complete douche. Nearly Departed by Rook Hasting – Starting out the book with a character who abuses his staffie that he bought for dog fighting? Not great. But even skipping that chapter, I just couldn’t enjoy this book. Alas. Betrayals by Lili St. Crow – Lili St. Crow can write depressed teenagers like none other! The Line by Teri Hall – Disappointing debut novel. But I will still be reading the sequel. Blood Soup by Kelly A. Harmon – Creepy name and a creepy cover – this novella looks like it is going to be fun! I have nevi heard of any of these. My post is up in Inklings. Betrayals looks like it could be really good! Can’t wait to see what you think! I liked Graceling. It is too bad you were disappointed with The Line. I have heard other complaints about it too. I will have to check out your review. It is one I have on my TBR list. I loved Graceling, but have yet to read Fire. I have Seven Sorcerers on my TBR pile as one of my students recommended it to me. I am glad you like it so far. You certainly have an eclectic range of interesting books. Seven Sorcerers looks wonderful – first time seeing this one!